Everything and anything about chess. Puzzles, games, news or anything that I feel I need to share with the chess world! I have a nice video series on chess patterns on Chessvideos.tv called "Pattern Recognition". All in all I have made 5 videos in this ongoing series. Solution appears at the end of this post. This is from Stefansson - Bruzon. Stefansson finished the job with 22.Qxh5! 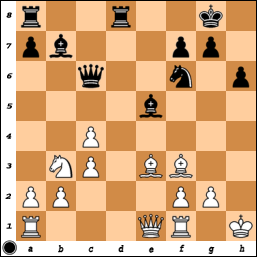 In our puzzle position black wins with 1...Qxf3! 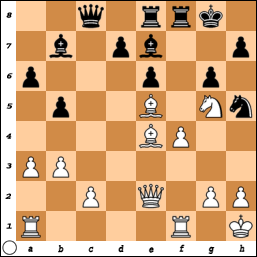 2.gxf3 Bxf3+ 3.Kg1 Ng4 and mate with Bh2 next cannot be avoided. Sort of going the backdoor into our mating pattern! Hi! I am a FIDE Master from Iceland. I hope you enjoy my chess blog. I have made many videos on Chessvideos.tv. Aronian wins World Blitz Championship!